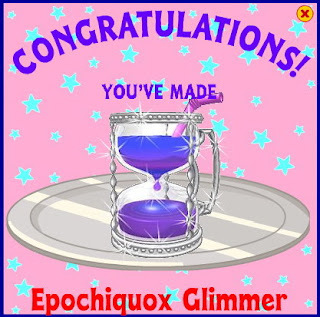 The Webkinz Epochiquox Glimmer Recipe is a new one. You will need your blender for this one. Raisins, Papaya and Blueberries will do it. This is a great treat and make sure you add this one to your recipe collection.